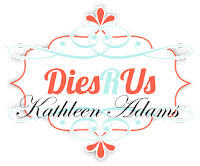 Dies R Us: Sorry you caught a bug! Below is a link to a 2 second video of the interactive pop up inside the card. Although this card is not hard to make, the die pc. in the set that makes the square inside twist up as a surprise can be confusing. The designer for this die set has an assembly video that makes it so easy. The designer paper is from Moda Scrap for Elizabeth Craft Designs called Thinking Polynesia"
I used the second to the largest pot for the front and the largest for the inside. I stamped the Band Aid, Soup bowl/spoon and Turtle on white cardstock. I colored them and fussy cut them out. The Tissue Box, little bug, and sentiment "sorry you caught a bug" and "feel better" was also from the same set. The Daisies are from a die set from DoCrafts called "Glorious Gerbera"
I hope you will want to add this interactive die set to your own collection. 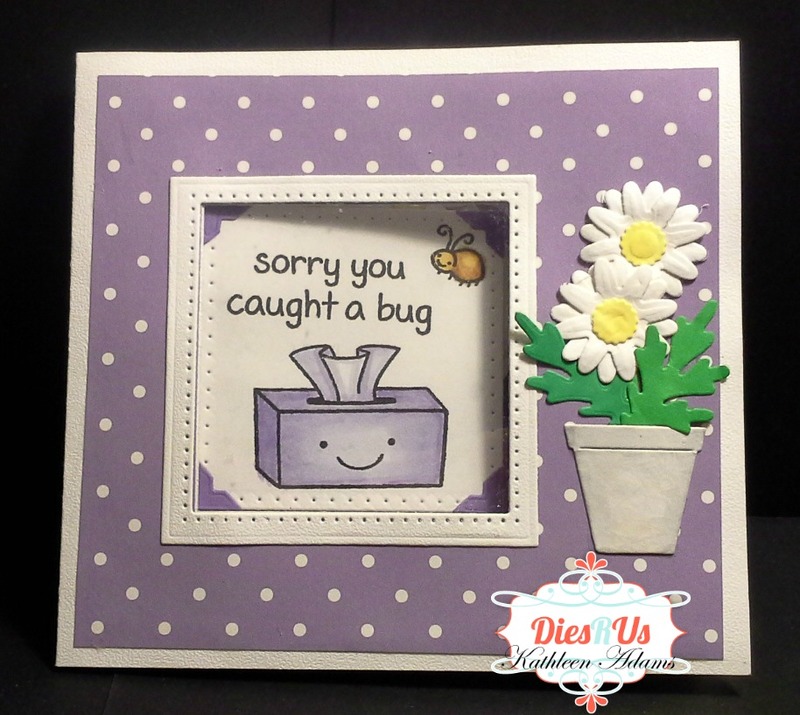 I've made several others with it and it's just so much fun to make and those who receive the card will love it! Thanks so much for taking a look at today's Inspiration and I hope you will come back tomorrow for more from the team. Here are the links below. What a great card for someone who is sick. This fabulous creation is sure to bring a smile to anyone's face! So, so cute and of course I love the color (my favorite)! Thanks for sharing great inspiration!